On Childhood – Monica L. Mercado, Ph.D. Yesterday, Lincoln Mullen‘s tweets (and some great responses) about sources for the study of “U.S. children’s religion” got me thinking about the ways in which the projects I’m working on increasingly flirt with the small but growing literature on religion and childhood. 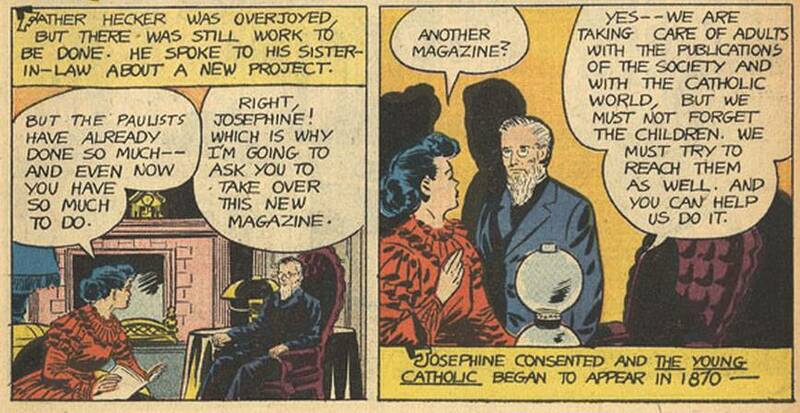 The Young Catholic provided children in Catholic academies and Sunday schools with games, stories, and the chance to see their names in print — all under the warm, loving guise of a fictional editorial family: columnists “Uncle Ned,” “Aunt Jane,” and a host of “cousins” meant to be understood by readers as running the show (and providing Josephine Hecker relative anonymity). But back to Twitter. Lincoln made a good point point — we talk about children in terms of education, but how are they understanding religion? How do they participate in the making of their own religious subjectivity? Portrait, 1950s. Collection of the author. I don’t have the answers to these questions yet, of course, but the other reason I’ve been thinking about childhood lately is a conference paper I put together for the upcoming University of Chicago conference “Invisible Designs: New Perspectives on Race and American Consumer Capitalism.” Thanks to a cache of found photography and a personal interest in midcentury Nuyorican memoirs, I’ve become increasingly fascinated by the visual and religious worlds of Puerto Rican Catholics in twentieth-century New York. 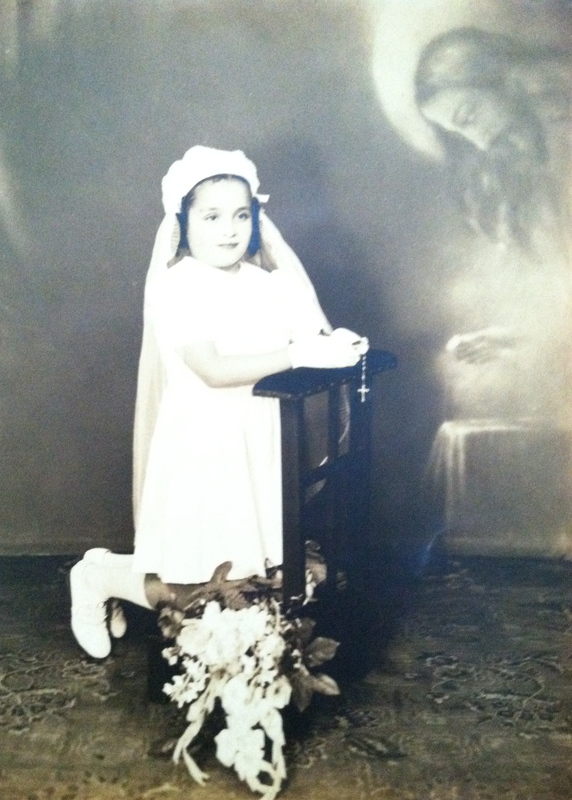 At the conference, I’ll be speaking about First Holy Communion portrait photography, and the intersection of religious and commercial impulses in El Barrio. And now that the Archives of the Archdiocese of New York is back open to the public, this conference paper may spin itself into an article…someday. I have a dissertation to finish, after all! In Chicago October 24-25? Join us at Regenstein Library for the conference and visit the new exhibit, “Race and the Design of American Life.” The conference schedule is now online [link]. ** More interested in comic books? Check out Matthew John Cressler’s recent RiAH post, and join me at Loyola next Tuesday, October 15, where Robert Orsi will lead a discussion of his chapter “Printed Presence: Twentieth-Century Catholic Print Culture for Youngsters in the United States,” in Education and the Culture of Print in Modern America (2010).